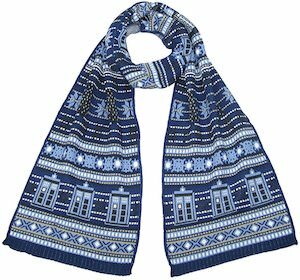 If you want to be a warm Doctor Who fan this winter then check out this Tardis And Tassels Scarf. This Doctor Who scarf is dark blue with on both ends a big pixelated Tardis on it and in the middle you find colorful lines just like on the shirt of the 13th Doctor and those colors can also be found on all the tassels that just belong on a great winter scarf. 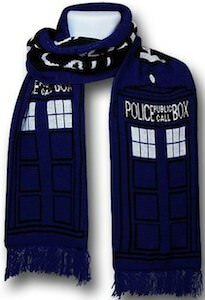 So now you can be the cool Doctor Who fan that has a scarf that looks amazing and will keep you warm when the cold winter winds are blowing around. 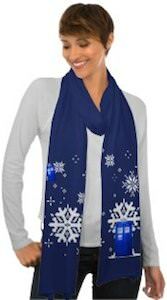 If you like Doctor Who and winter then you should check out this Tardis and Dalek holiday scarf. The scarf is mainly blue and shows holiday things like Christmas trees but they are not too obvious so that you can enjoy it the whole winter. On the 100% acrylic scarf, you can see a row of Tardis and there is a row with Daleks too. 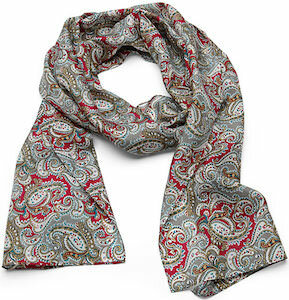 And the scarf is 30 x 190 cm and looks great and you can see the design better by clicking on the image. So now you can enjoy being outside because this Doctor Who scarf is made for keeping your warm. As a true fan of Doctor Who you of course know all about the classic long scarf that the 4th Doctor used and you probably knew as well that he changed scarfs in some seasons and in season 18 there was a complete different scarf. And now we found you the scarf from season 18 so that you can look like the 4th Doctor did in that special series. The Doctor Who scarf is more red and not so many colors in the design but still a great scarf with tassels and it can be yours for a cold day or as part of a Doctor Who costume. 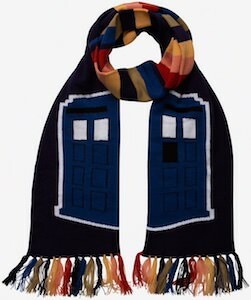 When weather turns you want to pull out that scarf a little more often but do you have a Doctor Who scarf? This scarf is the ultimate scare for Doctor Who fan. The scarf is 76 inch long and 7 inch wide and is Tardis blue with on it the top sign of the Tardis that says “Police Public Call Box” and on the ends your find little pockets to put you hands it and they have the windows of the Tardis on them. Yes this scarf is amazing and it goes with so many jackets and sweaters that it should be just be part of your winter collection. 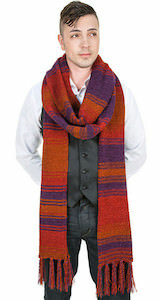 Now you can look a bit more like the 7th Doctor by simply wearing his scarf. OK this is not the real scarf Doctor Who wore but a replica of it. The Doctor Who scarf is made from 100% silk and is an officially licensed Doctor Who product. And the scarf of the 7th Doctor even comes in a special presentation box that has the BBC and Doctor Who logo on it. This item is a great addition to any Doctor Who collection. You can wear this scarf everyday or keep it for a costume party and yes keeping it in the special box is an option to. Come admire the pattern of this Doctor Who 7th Doctor Silk Scarf. Now there will never come and end to your love of the Doctor. This is a Doctor Who infinity scarf. And on this scarf you can find the famous van Gogh painting of the exploding Tardis. Ok maybe Vincent van Gogh didn’t really paint it but still this scarf will be a hit as it looks stunning and it has everything a Doctor Who fan needs. By simply wearing this scarf you will have the feeling you are part of the Doctor Who story and luckily for you it’s an infinity scarf so the story never has to end. 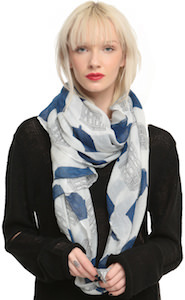 This Tardis scarf is one size fits mosts and can be worn on almost any outfit. Now is the time to shop for your Doctor Who Vincent Van Gogh Exploding Tardis Infinity Scarf. 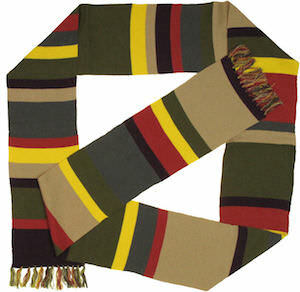 Winter is the time of year we want to wear a scarf and there is of course no better scarf then a Doctor Who scarf. This Doctor Who scarf comes in all kind of fun colors and also in Tardis blue and on this scarf you can see some picture of the Tardis and snowflakes. It all makes the Doctor Who scarf playful and fun. This Tardis winter scarf is 93 x 16 inch and is made from 100% preshrunk jersey cotton. You now have the opportunity that have a winter scarf that is different then the once other wear and of course revolves all around the Doctor. Get ready for a cold day with this Doctor Who Tardis Snowflake Scarf. Now you can be just like the 4th Doctor or like Osgood (from the day of the doctor episode). This is replica of the scarf that was worn by both. This deluxe Doctor Who scarf is 143 x 9 inch making it extra long just like the Doctor would like it. And yes it has the colored stripes and fringes. A Doctor Who fan would not want to wear anything else in the winter and that of course is a great reason for getting one. Now you can feel a bit more like the 4th Doctor and all it took was a nice scarf. Come and have a closer look at this Doctor Who Osgood And 4th Doctor’s Scarf. When it gets colder out you want to keep your body warm and a great way of doing that is by using a scarf. The Doctor know this and if you remember the 4th one he always had his around his neck. Now you can have your own Doctor Who themed scarf and this one looks like the Tardis. This 6 foot long Tardis scarf is of course Tardis blue and has the doors from this famous police box on it. Made from 100% acrylic this Doctor Who scarf will keep you warm nicely and it is a nice thick scarf to make sure you survive winter. Make a friend or yourself happy with this Doctor Who Tardis Scarf.